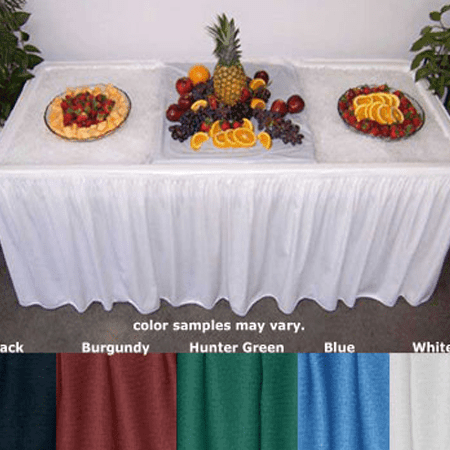 We are the manufacturers of the unique and revolutionary FILL 'N CHILL® Party Table, the convenient way to keep cold foods and drinks COLD and FRESH for your parties and events! 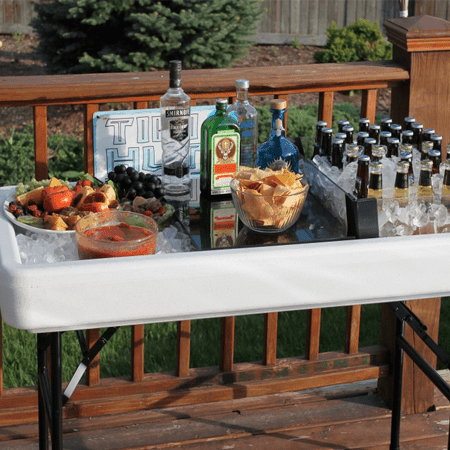 Chillin' Products Inc. not only provides innovative party tables, but we provide all the accessories necessary for a proper gathering or party. Ranging from table extenders, inserts, covers & panels to banquet carts, sneeze guards, clips, skirting & even craps table inserts w/dice! Whether you are an avid home entertainer, caterer or simply see the great innovation behind our products, we are the leading provider in this market and have taken care of everything for you. We no longer take orders online on this site. For more information or to purchase FILL 'N CHILL® products, please check with your distributor, contact us or call 1-(877) 534-0089, our friendly staff is waiting to help you. A Party & Event Must-Have! Dress it up! Choose from various pleats and fabrics, including spandex! Party, Graduation, Wedding? Step up your party-throwing game! 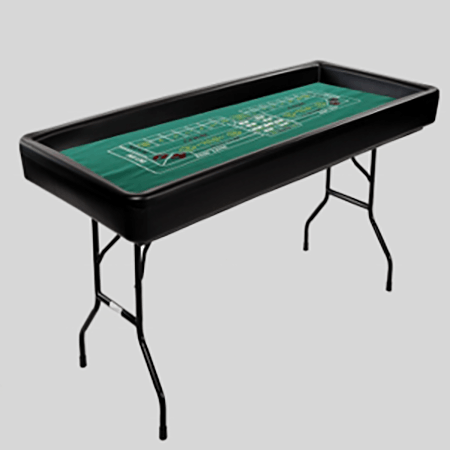 From Table extensions to Craps w/dice inserts, we've got you covered!